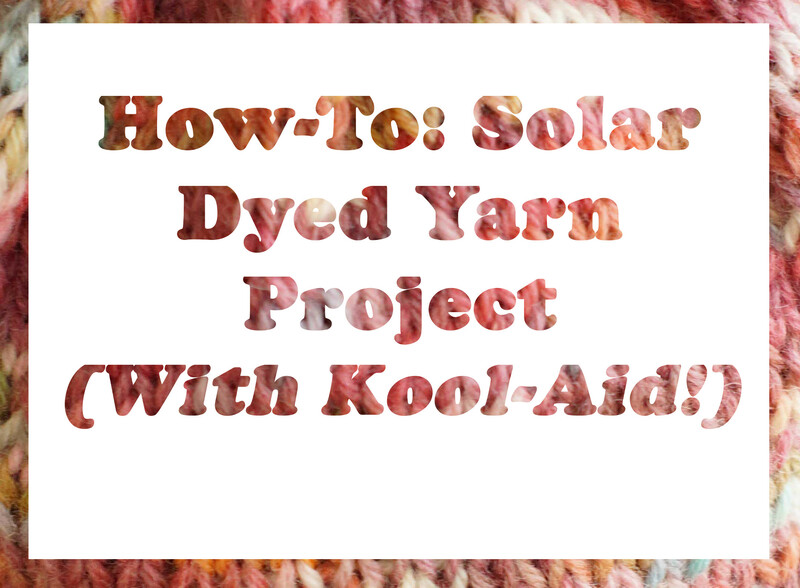 Today I’d like to share with you my recent experiences with a solar dyed yarn project — with Kool Aid! 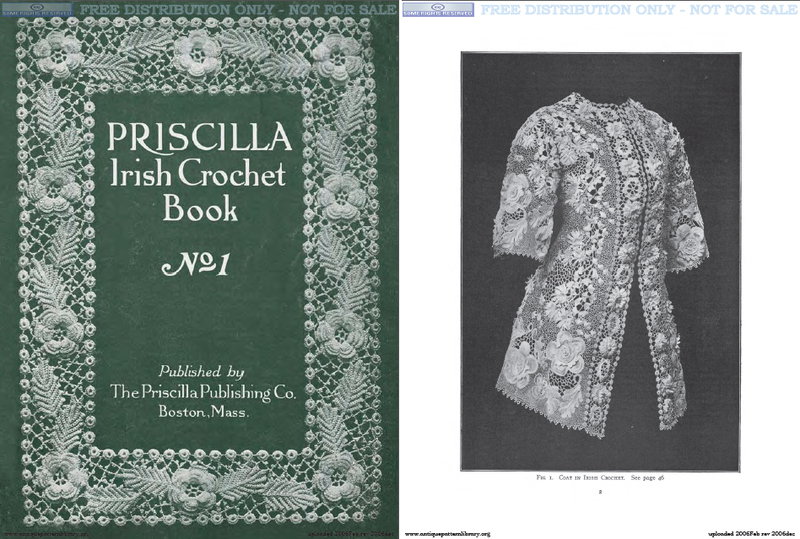 I’m always searching for affordable, interesting yarns for my crocheting and knitting projects. 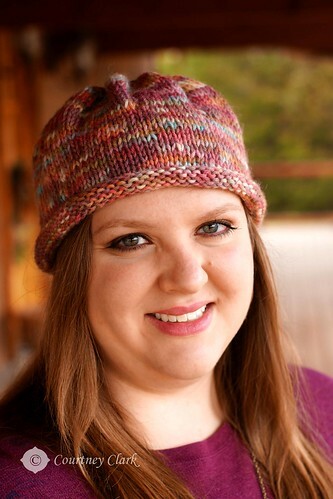 With that in mind, I’m usually picky about color combinations or variegated yarn in general. 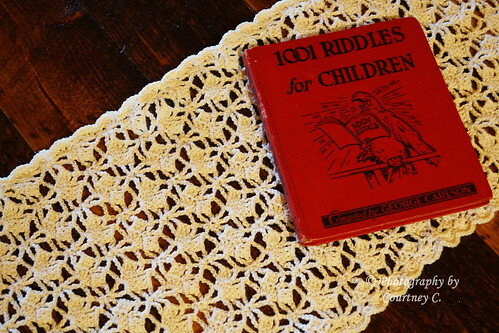 I discovered this blog post about a method of dyeing variegated wool yarn with Kool-Aid, and my quest to choose the perfect colors began. 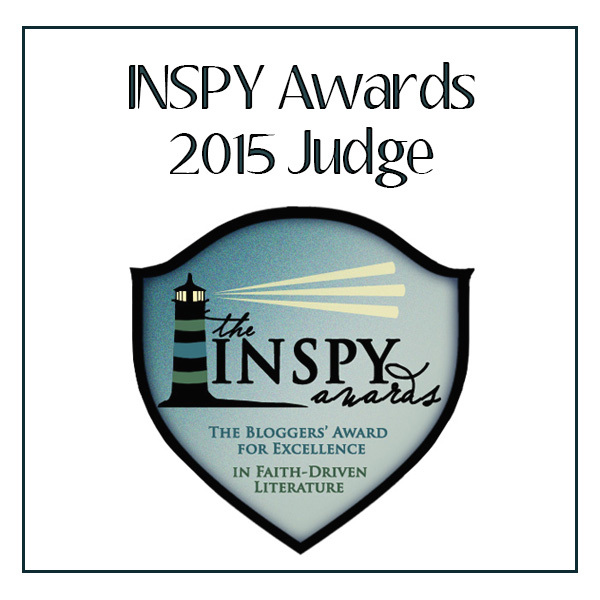 I was surprised at how simple the process seemed –and it really was easy to do! After a little more research and a trip to Hobby Lobby, I was ready to begin my project. 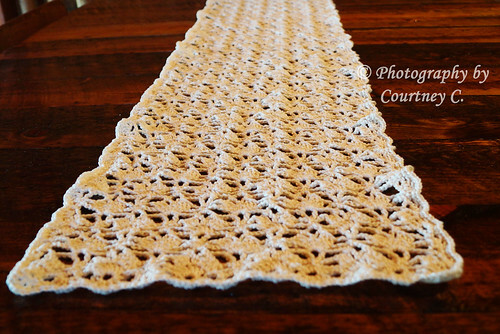 1 skein animal fiber yarn (such as wool, mohair, or alpaca) I used Hobby Lobby’s I Love This Wool! in Ivory, 220 yards. 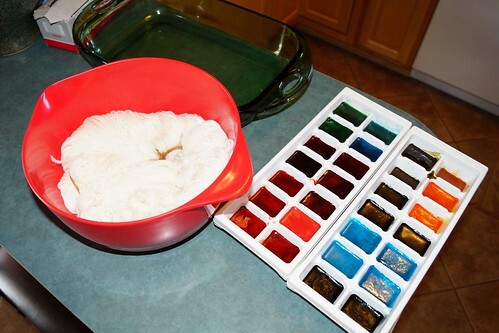 Kool-Aid (or other powdered drink mix) I used 5 packets. 3 would work for a lighter result. Glass baking dish. I used a 9×13. A sunny day for solar-powered heat – or an oven. These are the flavors I used. The Strawberry-Kiwi flavor powder is actually a light pink color. 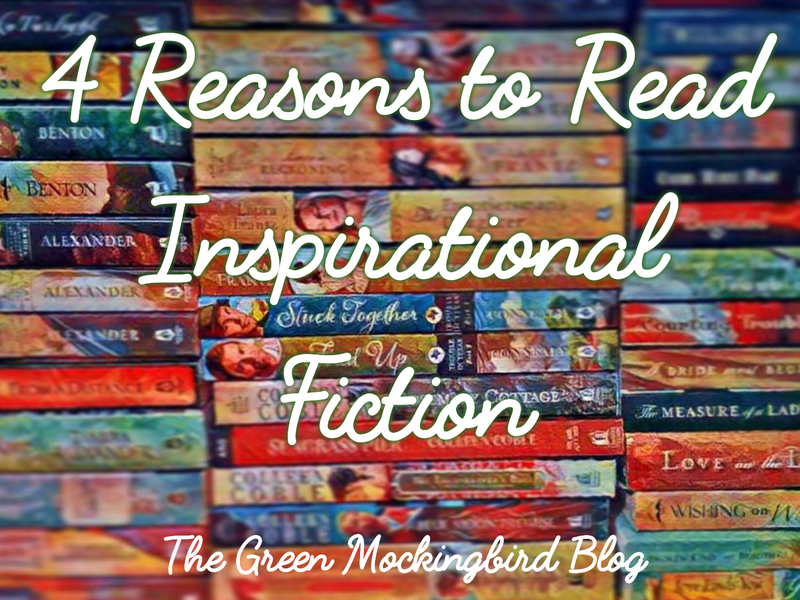 For more info on color combinations and results, see the links at the end of this post. 1. 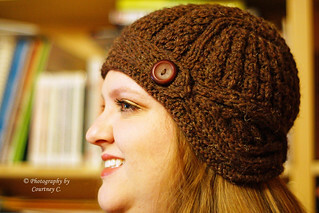 Unwind your skein of yarn and re-wind it in a loose hank. 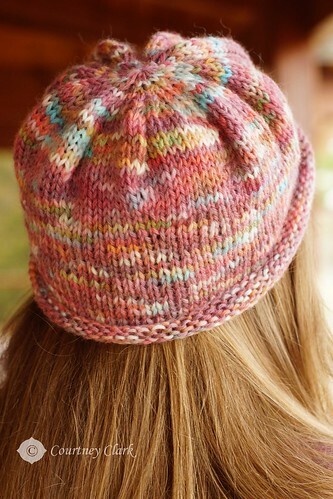 Secure it in multiple places with a loosely-tied piece of acrylic yarn (or some other yarn that won’t be effected in the dyeing process). 2. 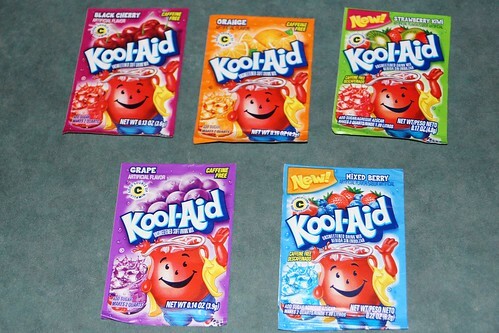 Mix each packet of Kool-Aid with enough water to fill approximately 4 cubes in an ice-cube tray. Colors can be combined for different results. You might want to wear gloves in this step because the powder can stain your hands. Don’t add sugar to the Kool-Aid mix – just water. Freeze these trays overnight or until frozen solid. 3. 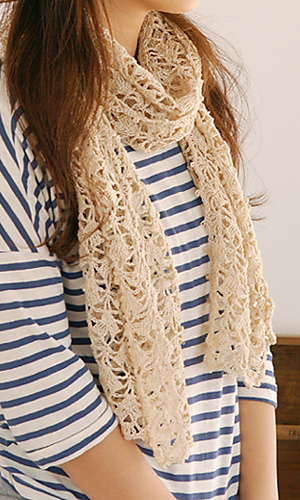 Prepare the yarn by soaking it in cold water and vinegar for about 10 minutes, then wring out the excess water. This ensures that the yarn with accept the dye and wick it up thoroughly. 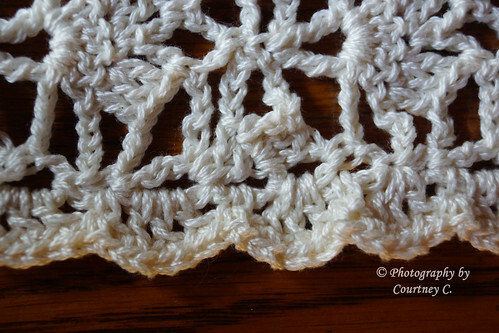 Place the yarn in the glass baking dish. 4. 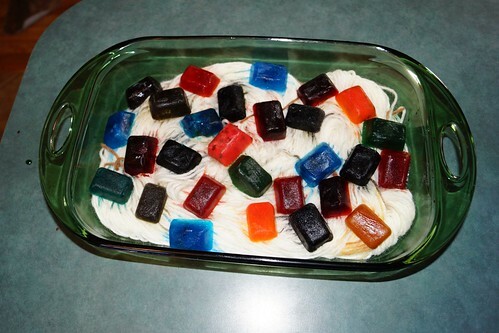 After the dye-cubes are frozen, place them randomly on the yarn in the baking dish, and cover with plastic wrap. 5. Place outside in the sun for 2 hours. Flip the yarn over, and wait 2 more hours. The yarn has to reach a temperature of about 180 Fahrenheit to set the dye. You could also do this process in an oven heated to 180 for a shorter time period. 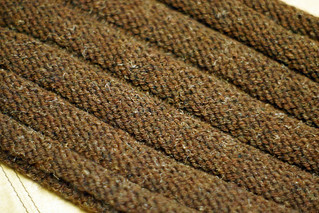 The following photo is what my yarn looked like after 2 hours. Much of the dye at this point was saturating the yarn in the bottom of the pan. 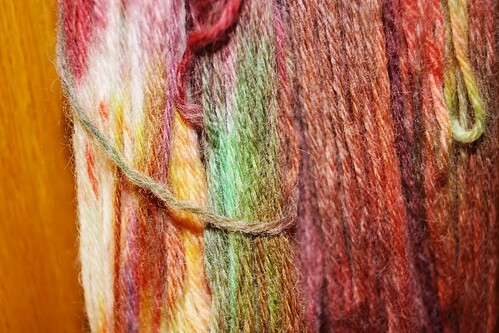 The following photo is my yarn after flipping. 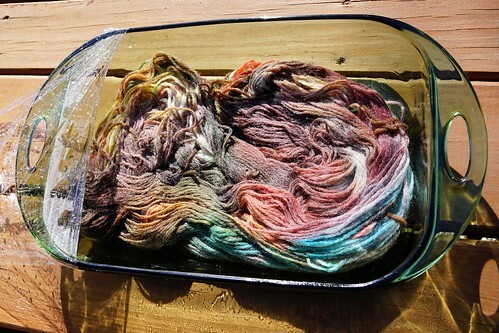 The dye-soaked yarn was then on top, and the colors seeped back down to the less saturated portion of yarn in the dish. 6. Check to make sure the dye is set. 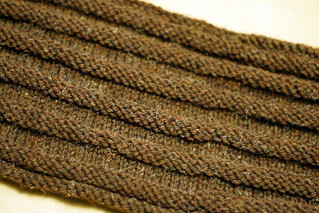 The yarn should be very hot, and the remaining water in the dish should be clear – all of the dye should be absorbed by the yarn. 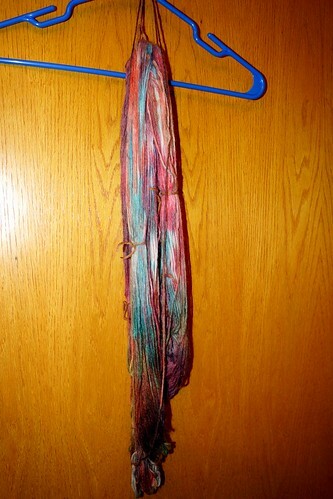 At this point, remove the yarn and rinse it in a mild laundry detergent and cold water (it’s very important to use only COLD water here – warm water will start a felting process on this type of yarn). 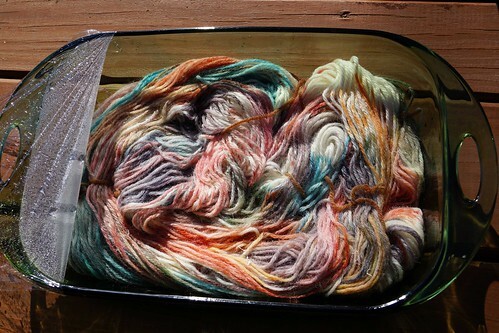 If any dye is rinsing off the yarn, place it back in the dish in the sun for another hour or heat it in the oven for another half hour. 7. 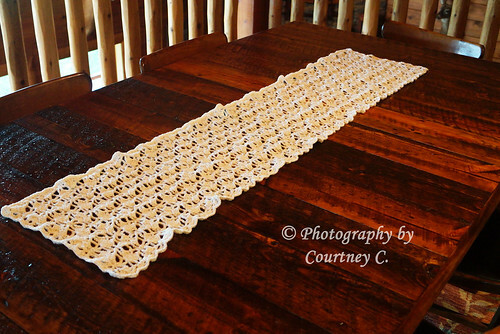 Hang the yarn to dry for about 24 hours, rewind into a skein, and make it into something fabulous! 18. 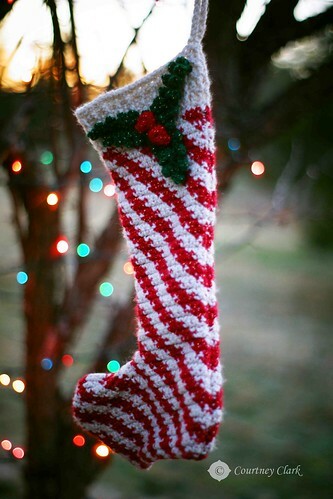 “Stocking” Crocheted Candy Cane Stocking, a photo by courtneyec90 on Flickr. December Photo Challenge, Day 18. I crocheted this candy-cane striped stocking a couple years ago. 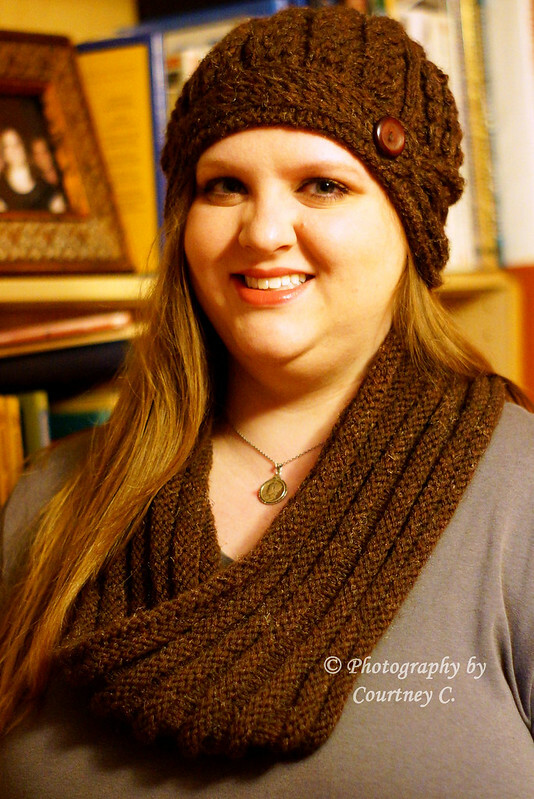 I would like to share with you some handmade hats and scarves I have knitted and crocheted. 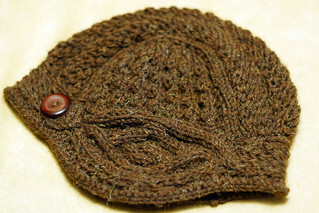 Most of them in this album are still available for sale, or I can make similar custom items, as well. Prices are listed along with each photo. Here’s the link to the Facebook album.